Myofascial Release is a safe and very effective hands-on technique that involves applying gentle sustained pressure into the Myofascial connective tissue restrictions to eliminate pain and restore motion in your body. Jin Shin Jyutsu is a Japanese healing art that is a quiet, and deeply relaxing way of resetting and balancing your body’s energy system. In the process, it generates a profound sense of internal well being, renewed energy and vitality. Using vinyasa yoga as the foundation, my style incorporates a variety of yogic traditions and Jin Shin Jyutsu. Verbal and visual cues guide you to feel proper alignment within your body providing the tools to continually build your yoga practice. Learn about health and wellness alongside Cobi. Her courses seek to empower you and your practice through tutorials and videos. I only had about 15 minutes with Cobi, but she helped bring me to a deep space of relaxation. Before opening my eyes, I placed my hands over my face to gently allow the light back in. I literally felt the electric energy generated during our short session by feeling and seeing a bunch of white dots behind my closed eye lids. I've never experienced that before - such an awesome and wild sensation! Immediately after starting my work with Cobi I felt and saw major shifts in my life. Having sought treatment for a multitude of ailments - anxiety, poor digestion, chronic fatigue, absent menstrual cycle, acne - to no avail, Cobi was able to connect with me energetically open up the blocks in my body that were responsible for my troubles. What I especially love, is that she shares pressure points on my body that I can hold at any time to help find my harmony. I look forward to every single session with Cobi and, without fail, leave feeling refreshed, restored & harmonized. There isn't much more I can say about Cobi's work other than the fact that it is, quite literally, life-altering. Her presence is calm, warm, attentive and her very touch is imbued with compassion. Her gift is that she is able to not only ask the right questions and procure the story of your body through your own words, but to then respond to that effectively with a highly trained, intuitive sensibility, using her knowledge of Jin Shin Jyutsu, Reiki and empathy work. After one session I had with Cobi, I noticed that I was actually walking differently, with full consciousness that I had been distributing my weight into one leg much more than the other. It's the small adjustments and subtle consciousness that emerges when Cobi works on you, where you begin to see the bigger picture that JSJ or Reiki can provide. I even had a session where her touch allowed me to remember things I had not remembered in a very long time! Could our body store memory in places where we've felt trauma, or repressed things in our past? Can a person's therapeutic touch and guiding questions allow me to learn (and unlearn) the story of my body? I am a believer of this now, after many sessions with Cobi Konadu. Cobi is a brilliant instructor, whose eloquence and tenderness is energetically potent. It was an honor to have her lead a Jin Shin Jyutsu workshop for us, and I am humbled to work consistently with someone of her grace. She expertly creates a safe space for everyone to participate, learn, observe, share, and just be, and gently guides each person through a journey of life changing self empowerment. My experience with JSJ has been transformative. Sessions with Cobi have always left me feeling rejuvenated, relaxed and at peace. Cobi is such a kind and warm spirit, providing personable and comfortable professionalism throughout all of our interactions. In addition to our sessions, she shares her knowledge of JSJ, which I deeply appreciate and value, allowing me to take JSJ with me on the go. I am excited for her new gatherings, the Story of Us, where I can learn further about the relationship between my body and how I can begin to understand it in a way I didn't know possible through JSJ. Very grateful to have discovered this practice and for Cobi sharing her knowledge of it. I warmly and confidently recommend Cobi and all of the services she provides. Cobi has a way of doing things a bit differently. After practicing yoga for five years I had the pleasure of taking her class. She taught me a new pose that I now use regularly in my practice. The art of Jin Shin Jyutsu is like a new yoga pose in the practice of life. Dedicating a bit of time and energy can come back to you tenfold. If reaching a new level of openness is your thing. Or if you want to let go of entanglement (emotional and physical), Jin Shin Jyutsu is for you. This way of healing through touch is a powerful tool and Cobi has a key to the "energy locks" that many of us live with. Cobi offers Jin Shin Jyutsu in a way that is completely accessible to people with no prior knowledge or experience with it (like me). She is an intuitive, gentle yet powerful healer that creates space for you to open up and receive with confidence and trust. The process was exceedingly relaxing and put me in such a state of release and flow, I almost fell blissfully asleep. We worked on a digestive issue that amazingly enough was cleared by the next day. The nature the practice is divinely empowering, in that you have the tools to heal yourself. Cobi's nature fits effortlessly with these teachings in her generosity, strength and passion for empowering those around her. Healing and Rejuvenating: the two adjectives (among many) that pop out to me as I think back on my Jin Shin Jyutsu sessions with Cobi. I came to our appointments usually a ball of nerves, as someone suffering from insomnia, digestive issues and hormone issues, each session I left with a renewed peace of mind and body. Literally like a weight had been LIFTED off my shoulders. Cobi's wonderful too--It's nice to work with someone who genuinely cares both to help you and to know you. One of the best parts of JSJ? You can practice anywhere and Cobi has tons of tips to help you easily do that. I received several Jin Shin Jyutsu treatments throughout the whole process of a complete ruptured patella (knee-cap) tendon rebuild, that includes the day of the injury, every day leading up to the surgery, the day of the surgery, and the days after the surgery, which in total is a 3 month process. I wholeheartedly believe that because of Jin Shin Jyutsu treatments given to me by Cobi, I only needed and used pain medication one day after surgery. With a good surgeon and a well-executed surgery and 12 weeks of complete immobilization of your leg most people come out of the immobilizing cast with only 10% range of motion, I can say without a doubt that because of receiving Jin Shin Jyutsu treatments from Cobi my healing process was much shorter and I came out of the immobilizer with 45% range of motion, I believe in and standby Cobi and the Art of Jin shin Jyutsu. Jin Shin Jyutsu with Cobi is an experience everyone must try. She uses her hands as jumper cables to release stiff energy in the body. When she placed her hands in different locations on my body it felt as if the energy channels or maybe even blood flow was ignited in between her hands. I left feeling energized, relaxed and happy. I will certainly use her treatment again - not only when I'm not feeling my best, but also for maintenance of my overall health and well-being. You can tell that she is truly passionate about what she does and that alone is inspirational. Happy Jin Shin to you! My Jin Shin Jyutsu treatments with Cobi have transported me to a place of deep tranquility in the body and mind, which has allowed me—and my yoga practice—to feel softer, more open, and more fluid. Cobi’s sweet, confident, and powerful presence puts me at ease, and thus makes me more receptive to the bodywork. Her assessment of my unique needs during each treatment has been so helpful on physical and emotional levels. Very fortunate to have her Jin Shin Jyutsu as part of my self-care routine. Cobi Konadu is a natural born healer. Even before she took up the practice of Jin Shin Jyutsu, her presence was always soothing, healing, and full of understanding and compassion. I have experienced many Jin Shin sessions with Cobi, and each time I discover a new or deeper aspect of my inner life and of my imagination. Jin Shin is a magical methodology that is difficult to describe to those who haven't experienced it. For me, the experience included physical feelings of energy shifting and moving, and sense of lightness and spaciousness in my entire body. Cobi has helped with so many things through her Jin Shin Jyutsu, from easing persistent pains in my back from sitting too long at a desk, to relieving bouts of sadness during difficult times, to enhancing my creativity and encouraging new ideas as an artist. 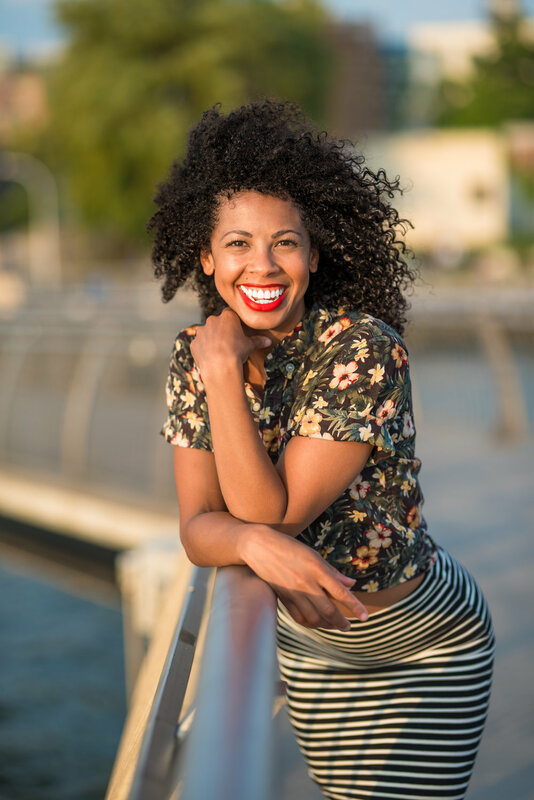 Cobi Konadu is a talented and inspiring wellness teacher whose mission in life is to empower the next generation of children in their health and well-being; teaching them the tools that will help them grow into compassionate, healthy adults. She has woven together her background of graphic design and fashion with yoga, healing, and meditation to make a dynamic offering to those she works with. Her path has taken her in the direction to work with the youth, recognizing that this is where lasting, generational change takes place. I’m excited to share the gift of health and harmony with you!